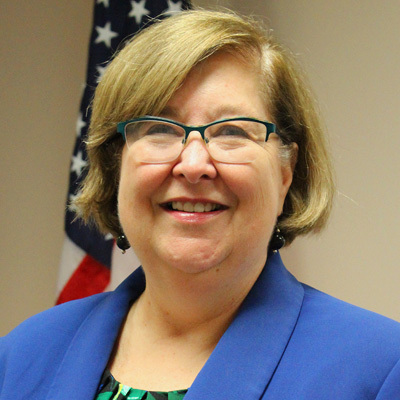 Carol Steckel joined the Cabinet for Health and Family Services, Division of Medicaid Services in September 2019. In this role, she oversees a $11 billion budget that covers almost 1.5 million Kentuckians. Prior to this position, she served as the Senior Director for Advocacy at WellCare Health Plans in Tampa, Florida. She also served as the Director, Medicaid Division, Department of Health and Human Services in North Carolina. In addition, Ms. Steckel served as the Director of the Center for Health Care Innovation with the Department of Health and Hospitals in Baton Rouge, Louisiana and as Commissioner of the Alabama Medicaid Agency for over ten years over two terms (1988 – 1992 and 2005 – 2010). Mrs. Steckel served as the President of the National Association of Medicaid Directors and on the Board of the American Public Human Services Association (APHSA) as its Treasurer. Mrs. Steckel was chosen as a Fellow in the Medicaid Leadership Institute, sponsored by the Center for Health Care Strategies, Inc. and The Robert Wood Johnson Foundation. She also participated in Leadership Alabama and Leadership Birmingham in Alabama. Mrs. Steckel served on the Louisiana Health Care Commission. Mrs. Steckel has a Master’s Degree in Public Health from the University of Alabama at Birmingham and a Bachelor of Science Degree in Sociology from Birmingham-Southern College. She is married to the Reverend Arthur D. Steckel, II, who served as the Chaplain at Cooper-Green Mercy Hospital. They have two cats.